This course is an Oregon Health Sciences School of Dentistry Course. This course is specifically designed to introduce nitrous oxide–oxygen minimal sedation to any clinician, hygienist or team member who may be new to this modality. 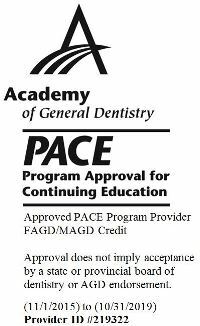 This qualifies as 4 CE lecture hours, which can be used to renew a Nitrous Oxide Permit or 4 of the 14 hours required to renew a Moderate Sedation Permit, Deep Sedation Permit or General Anesthesia permit. Nitrous oxide is one of the most versatile and safest inhalational agents used in both dental and medical practices. This interactive course will provide a comprehensive review of the roles and benefits of using nitrous oxide, as well as, protocols for integrating this sedative into new offices and busy clinics. Cases studies and discussions will be used to augment key points so participants will leave feeling confident about using nitrous oxide in their clinic. Program materials can be downloaded under the "Other Resources" tab. When you finish all 3 videos, push the "Complete" button to take the exam and earn credit.